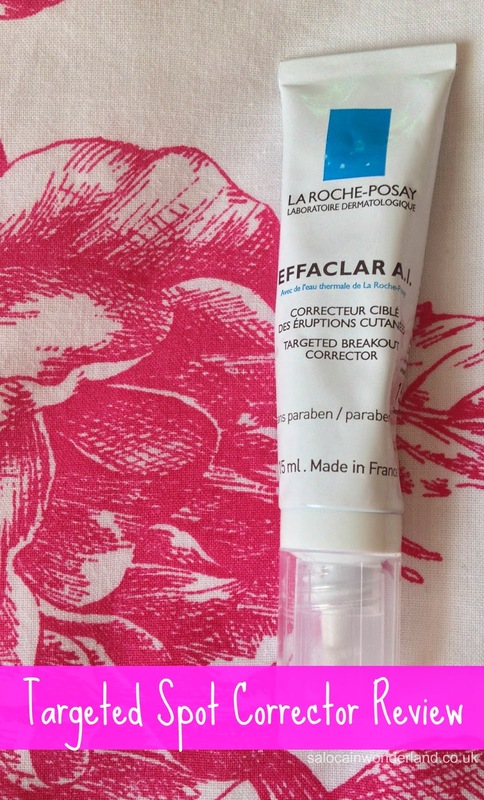 I've been using the Effaclar A.I Targeted Spot Corrector for a couple of weeks now and I'm beyond impressed with it. The last time I used something like this was years ago, it was Quinoderm and well, that didn't have the happiest of endings. It left me with lots of acne scars and really upset the balance of my skin for years. I've pretty much avoided products like this because of the terrible experience I had in the past! That being said, I'd had such great results from the Effaclar Due+ that I figured it was about time I took the plunge and gave these types of treatments another go with a brand I trusted. The targeted breakout corrector is designed to quickly dry up and prevent breakouts from turning into those little red bumps you start with into fully fledged demon pimples. Wait, I hear you say, won’t it leave you with flakey dry skin though? In my experience, no! The problem I always had in the past was that after using a targeted corrector, I found my skin was left really dry and scaly, almost peeling away from my face. Yes, the spots might have gone, but who really wants to walk around with their skin hanging off their face? With the La Roche Posay, I’ve had no adverse, scaly skin side effects. Hurrah! I’ve found that most breakouts vanish within a day or two. Hormone related breakouts take longer, usually 3 – 4 days. They usually stay little red bumps but they don’t develop those nasty little ‘I just need to pop it’ pimple heads. And, because the targeted breakout corrector doesn’t dry out my skin, they are much easier to conceal with a little make-up. Talking about make-up, I can use this little beauty under make up and it doesn’t cause my foundation to clog or cake. I use mineral foundation but I can’t imagine it not working well with liquid and crème foundations too. I’ve also found that when I use this on a breakout, I’m not left with those little brown, scar like marks you sometimes get from really nasty breakouts. Hurrah! The targeted breakout corrector draws the impurities out from the spot, effectively stopping them in their tracks and reducing redness in the surrounding area. A 15ml tube will set you back £11 - £15 but in my opinion it is worth it. It will last you a good long while too as you only need the smallest amount on each breakout. It’s ideal for oily and sensitive skin too. I’m not too sure how this would work for dry skin, you might just have to moisturize a little more or use slightly less on the breakout area after using the targeted breakout corrector. It’s paraben free, hypoallergenic, non-comedogenic, made with mineral ingredients and fragrance free. Exactly what we want to hear! I find it works very well with La Roche Posay Effaclar Duo+ too. They compliment each other very well. 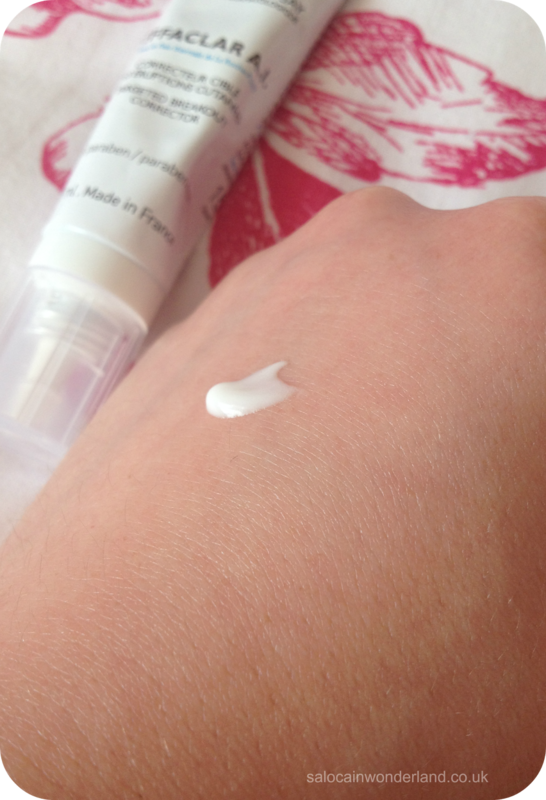 Have you tried the Targeted breakout corrector? Let me know in the comments below! Oh, this sounds great! I am always left with brown marks after I have spots as I usually have to squeeze them. I'll leave then if I'm not going out but if I'm at work or something, there's no way I'm not squeezing them! Next time Boots have their 3 for 2 offer on you should pick it up, well worth trying and it's dramatically reduced the post pimple popping scarring for me! I'm close to 27 now and spots are still a part of my life, I think we just have to embrace it and do our best to fend off the face demons!